Vitra Miniature Landi Chair, Coray: The Landi Chair was originally designed for the Swiss regional exhibition (commonly known as the 'Landi') of 1939. Coray's design meets the requirements of an outdoor chair: it is light, comfortable,weather-proof and can be stacked vertically – it is easy to transport and store and can be used in a wide open space. 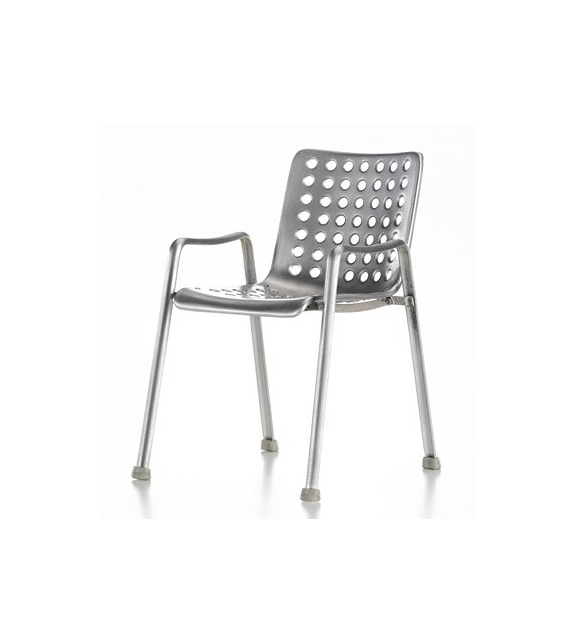 Vitra Miniature Landi Chair, Coray: The Landi Chair was originally designed for the Swiss regional exhibition (commonly known as the 'Landi') of 1939. Coray's design meets the requirements of an outdoor chair: it is light, comfortable,weather-proof and can be stacked vertically – it is easy to transport and store and can be used in a wide open space. 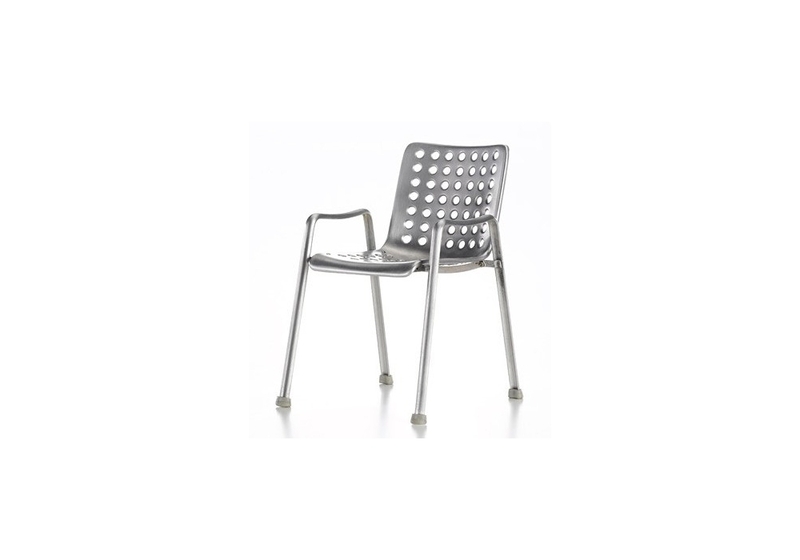 The choice of material for the Landi Chair was aluminium, one of the most important Swiss exports in the 1930s. 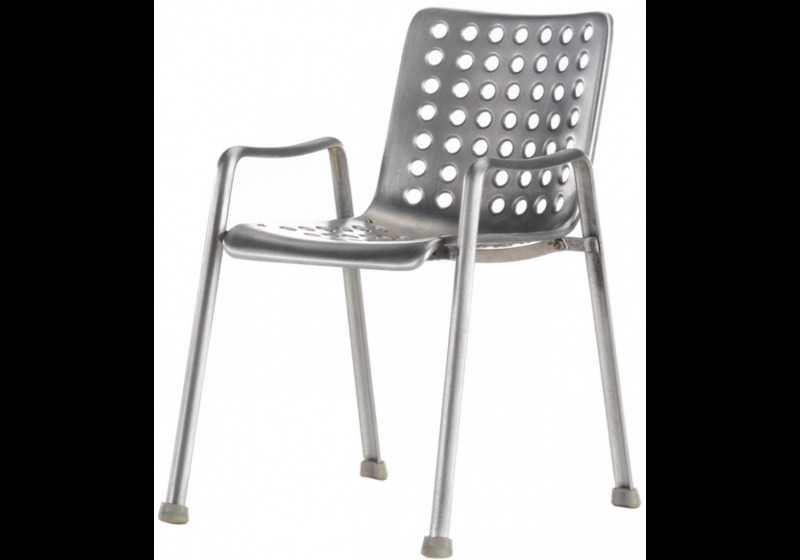 The curved, slightly elastic seat-pan consists of sheet aluminium, and the lower frame and armrests are made of aluminium sections. The seat-pan acquires its shape in several processing stages in a drawing press. The surface is anodized, hardening the aluminium and protecting against corrosion. 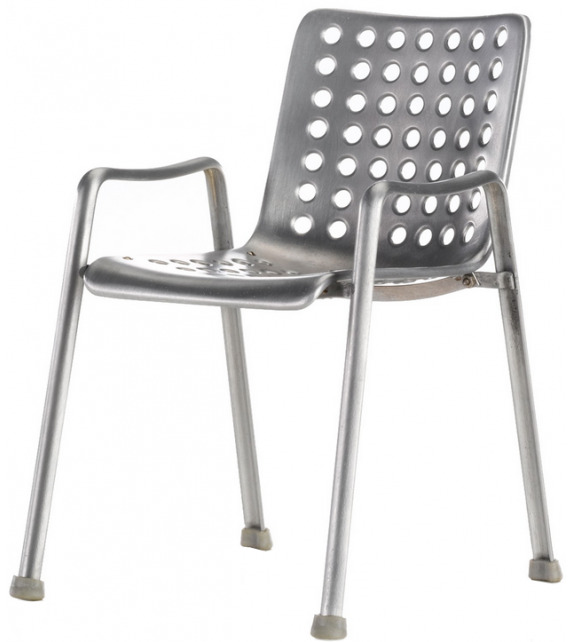 The characteristic perforation gave the chair visual and physical lightness in addition to enhanced rigidity. 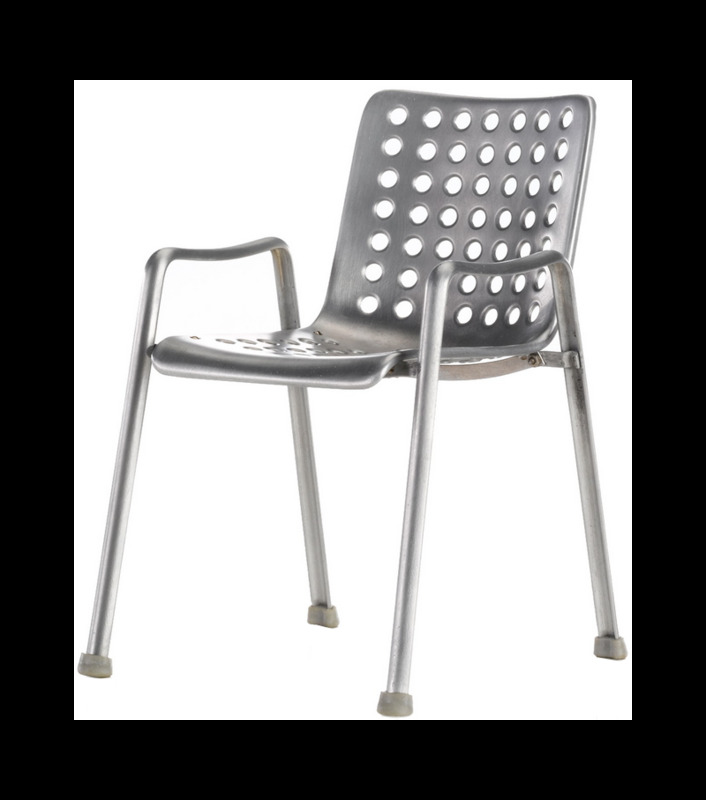 Originally designed as a weather-resistant outdoor chair, this design classic has long been popular in indoor environments too.